Transportation Technology Center, Inc. (TTCI) provides research, development, testing, system engineering, inspections, consulting, technical support and training to enhance safety, reliability, and efficiency for the railway industry. Its customers include freight and passenger railroads, suppliers, and government agencies throughout North America and worldwide. TTCI’s expertise covers freight and passenger rolling stock, vehicle and track components, communication and train control, and automated inspection systems. The company uses 48 miles of test tracks for track structure and vehicle performance testing, life-cycle prediction and component reliability, lading damage prevention tests, and freight ride quality / passenger comfort evaluations. TTCI also operates the Security & Emergency Response Training Center (SERTC), the world’s foremost training facility for surface transportation-related threats and incidents involving hazardous materials. Along with classroom training, SERTC offers full-scale derailments and rail / highway vehicle scenarios. TTCI recognises that rolling contact fatigue (RCF) has remained a major challenge to freight railroads as it can play a key role in some derailments, and results in more than $800m in annual maintenance costs to the North American freight system. The company aims to mitigate the consequences of RCF and wear with a state-of-the-art machine known as the rolling contact fatigue simulator (RCFS). This unique hydraulic test machine allows cameras and laser profile measurement systems to closely monitor initiation and growth rate of RCF and complex wear mechanisms due to a cyclic rolling load. TTCI’s technology has proven its capabilities for detecting and characterising critical rail defect types, such as transverse defects under shells, in welds, and deep in the rail web, which are often difficult to find using conventional ultrasonic techniques. Phased array ultrasonic inspection overcomes the limitations of conventional ultrasonic inspection, which leaves some flaws undetected during periodic inspection. TTCI continues to focus on solving critical issues associated with positive train control (PTC) deployment, as well as introducing supporting technologies. The company helps clients to determine PTC system requirements; develop complete, unambiguous specifications; and select and configure systems to optimise benefits. It can also help coordinate and process radio frequency applications for licences issued in US railroad bands, as well as serve as a host for railroad voice and data communications testing. The company can also provide spectrum needs assessment and radio frequency (RF) network design; evaluate radio effects on system performance; help clients plan and conduct effective tests; and assist clients in migrating to PTC, without disrupting operations. TTCI’s railroad expertise and web-based training courses effectively meet the needs of a wide audience. Clients can save money on travel expenses and use the company’s digital delivery to provide vital, on-demand education and training to employees. Current training courses in hazmat response include grounding and bonding, foam applications, and tank car overviews and updates. In addition to work on freight rail, TTCI provides consulting services to the passenger rail industry. The company worked with the San Francisco Bay Area Rapid Transit (BART) District to investigate ways of waterproofing the Transbay Tube as part of an ongoing, system-wide earthquake safety initiative. TTCI also helped Metro North Railroad (MNR) improve its overall infrastructure maintenance programmes, and was partnered with Ove ARUP to develop finite element blast models for passenger cars. 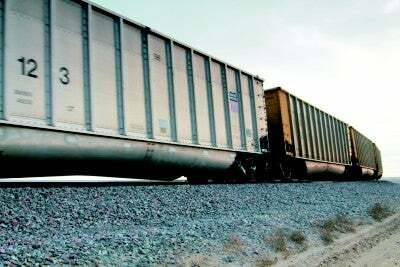 The company’s specialised test tracks and loops can be used by freight suppliers for Association of American Railroads (AAR) M-976 certification and other testing. Its railcar test expertise has attracted Chinese companies, such as CRRC Qiqihar Railway Rolling Stock (QRRS) and CRRC Yangtze Co. (CYR), to test and improve their newly developed freight railcar trucks. TTCI has also worked with the Shuohuang Railway and the China Academy of Railway Sciences in a high profile project to increase axle load from 25t to 30t. The company helps customers worldwide to manage and mitigate the risks posed by defective wheel roller bearings. In the UK and Germany, its Trackside Acoustic Detection System (TADS®) provides low false picks, while minimising the missed defects in high-speed trains. In China, more than 90 TADS® systems have been installed to detect defective bearings in mixed freight, passenger, and high speed rail service. TTCI is a a wholly owned subsidiary of the AAR. The company’s facility, combined with a dynamic concentration of noted rail industry experts, allows it to solve technical problems with full-scale testing and modelling services, as well as offer consulting for railroad operations, engineering economics and track / infrastructure. This white paper contains a list of Technology Digests research publications (available in PDF form only) written and published by Transportation Technology Center, Inc, a subsidiary of the Association of American Railroads.